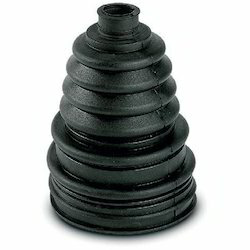 KK MART Black Rubber Bellows, Size: 1" 2" 3" 4" 5" 6" 8" 10"
केके मार्ट का काला रबड़ बेलौ, साइज़: 1 "2" 3 "4" 5 "6" 8 "10"
Size: 1" 2" 3" 4" 5" 6" 8" 10"
Justifying our reputation in this highly competitive industry, we have brought a wide assortment of Rubber Bellows. To supply the ever rising needs of our customers, we are occupied in offering a wide range of Trucks Air Cleaner Rubber Bellow. We are a distinguished supplier of a wide range of Rubber Bellow. Our customers can purchase these hoses from us at very nominal price. Our organization is offering a comprehensive range of Rubber Bellow that are widely known for its effective, smooth and quiet operation. 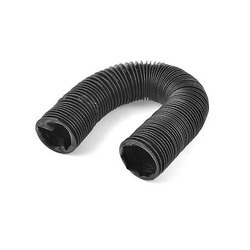 These rubber bellow are used to protect lead screws, shafts, spindles, guide ways, cylinders etc. Our products are available in various shapes and sizes as required by our valued clients. We are occupied in offering a wide range of Rubber Bellow. We can mfg. it in EPDM, Nitrile Rubber. Shore hardness as per requirement. Our domain proficiency has assisted us to provide to our patrons an unmatched assortment of Rubber Bellow. Developed and designed with prominence in tandem with the present growths, we make usage of finest grade material and advanced technology in their development. We offer these products at market leading rates.